The average working American probably owns about one moderately priced automobile. If you’re an actual gear-head, you may own more than one vehicle and are willing to spend more money on a car that’s enjoyable to drive. Now wealthy celebrities are certainly not your average individuals, and as they typically are worth a lot of money, they can afford to spend a lot of money on premium driving machines. Your average actor or pop star probably dives a pretty nice car that most people would fawn over. But what happens when you’re a wealthy celebrity and a massive car geek? Well you can turn your obsession for cars into a hobby, as you can afford to own a variety of different vehicles. Then there are some celebrities that take it to a whole other level; those that have millions of dollars worth of automobiles. These celebs have a different car for each day of the week. So out of all the celebrities that have awesome car collections, which ones are the most impressive? Here are five celebs that have the coolest, most impressive, and most expensive car collections in the world and you’ll definitely be jealous. 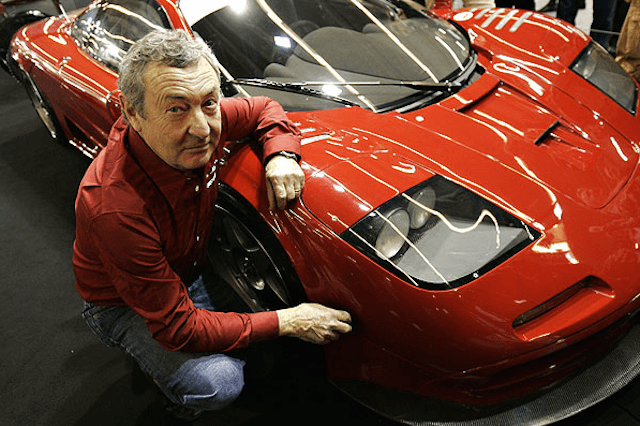 Nick Mason’s car collection is the first one that we are going to take a look at, as he has collected a respectable amount of prized vehicles over the years. If you don’t know who Nick Mason is, he is the drummer for Pink Floyd, only one of the best rock bands of all-time that delivered masterpieces like The Wall and Dark Side of The Moon. Naturally being in a band as prolific and popular as Pink Floyd, Mason has collected a good bit of money for himself. When he’s not playing the drums or enjoying life, he likes to collect cars. Mason has been an avid car fan over the years, and has a garage over in England filled with many spectacular beauties. He was one of only 400 people invited by Ferrari to purchase the Enzo when it originally came out, and it was his Enzo that was used to film the episode of Top Gear about the car. Some of the more impressive cars in his collection would be that Ferrari Enzo, a 1931 Alfa Romeo 8C 2300, a Ferrari 312 T3, a 1955 Jaguar D-Type, a 1927 Bugatti Type 35, a McLaren F1 GTR, an original Ford Model T, a Maserati 250F, and a Porsche 962 among a few others. So yeah, he has a pretty respectable collection. Five-division world champion, undefeated professional boxer Floyd Mayweather is another prominent celebrity with a fairly impressive car collection. Ever since Floyd entered the limelight, he has very publicized his rockstar-esque lifestyle. He regularly posts on Instagram about his private trips to Hawaii or his multi-million dollar watch collection, and this has earned him the nickname “Money”. But if there’s one thing Floyd loves more than boxing, it’s cars. In the picture above we see in addition to his private jet, three Bugatti Veyrons, two Ferrari 458 Spiders, a Porsche 911 Turbo S, a Ferrari 599 GTB Fiorano, and a Lamborghini Aventador. Floyd has also so humbly posted the prices for these vehicles on this Instagram post, which according to him add up to roughly over $7.86 million dollars. And these cars are just a fraction of his total collection. He also has a few more Lambos, a few Bentleys and Rolls-Royces, a Ferrari Enzo, and a variety of other cars. We don’t know how many cars the man has in total, but he exclusively purchases and drives high-end, exotic cars. American fashion designer and businessman Ralph Lauren is another celebrity that has a very impressive car collection. Given how his brand sees billions of dollars in revenue each year, and how he’s the head honcho, he’s fairly wealthy to say the least. When he’s not running his fashion empire or enjoying the finer things in life, he spends his time driving and collecting incredible cars. Ralph has an Alfa Romeo 8C 2300, a Ferrari 250 LM, a Mercedes-Benz 300Sl, a Jaguar XK 120, an Alfa Romeo 8C 2900 Mille Miglia, a 1929 Bentley Blower, a 1958 Ferrari Testarossa, a McLaren F1, and a few other incredible vehicles. Oh yeah he also has a Bugatti Type 57SC Atlantics, of which there are only two in the world. The price for that car? Just somewhere over $40 million. Yeah, no big deal. Actor and comedian Jerry Seinfeld, as some probably know, is a huge fan of cars and has a love for one brand in particular: Porsche. While Seinfeld has a sizable car collection (he legitimately rents out an aircraft hanger to store all of them), he loves his Porsche’s the most. He owns pretty much any Porsche that you could want, and one count had him owning around 46 different Porsche’s in total. Seinfeld has a few 911’s, a 1955 Spyder 550, the rare 917 Le Mans, a Carerra GT, and the incredibly rare and valuable Porsche 959. Oh and he just recently picked up Porsche’s newest hypercar, the 918 Spyder. Now when it comes to celebrity car collections, or really just car collections in general, Jay Leno is the king. Jay Leno pretty much owns every car you could ever possibly want, and then cars that you didn’t even know existed. He owns around 169 or so cars that he stores in his personal garage, and we can’t even guess as to how much they are all worth. Name an exotic, rare, or luxury car and Jay most likely has it. His personal favorite would be a McLaren F1, but he has so many cars that I’m not even going to attempt to name them. He even has a few steam-powered cars. If you want to see more about his car collect, the television/internet series known as Jay Leno’s Garage is a great place to start.